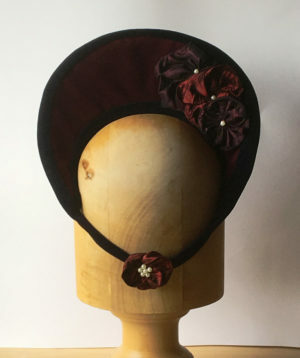 A lovely version of the popular Hannah 2. 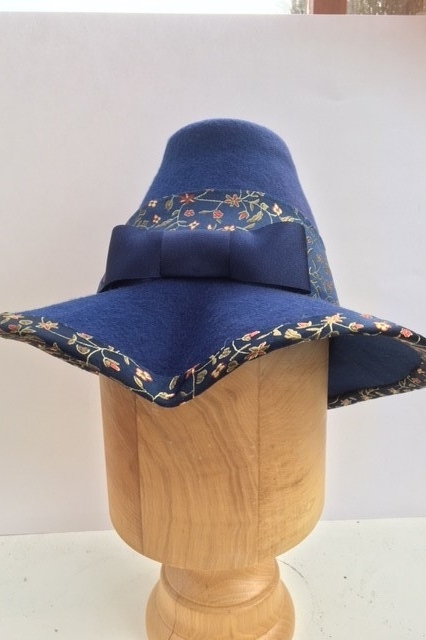 This hat is in Royal blue felt. 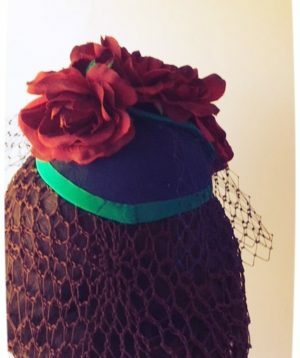 The crown has been stiffened using Paris/Dior net and covered with Dommet. 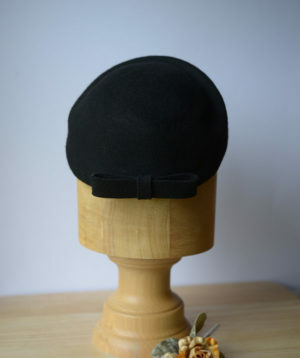 The hat is finished inside with a blue twisted and gathered lining and black sweat band. 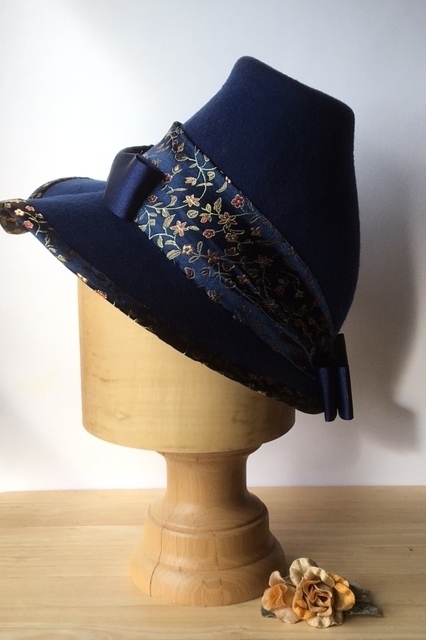 The hat band is trimmed with a blue satin/rayon patterned fabric and gathered to the back. 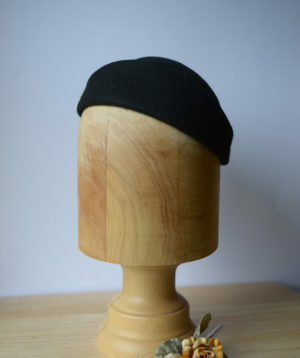 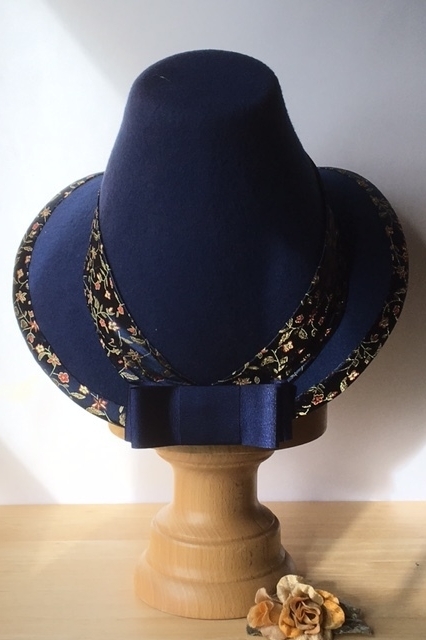 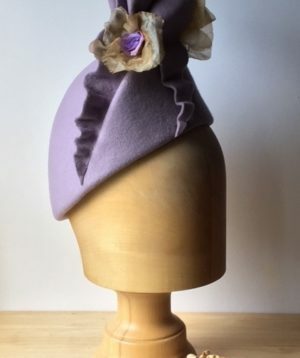 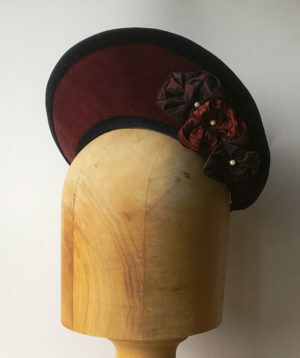 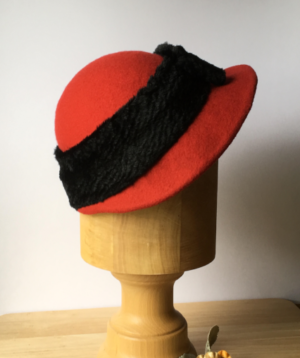 The edge of the hat is finished with a bias binding of same fabric as hat band and finished to front and rear with a single grosgrain ribbon to rear and double grosgrain ribbon to front. 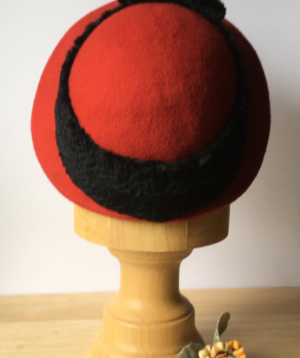 Please note that hat price doesn’t include postage. 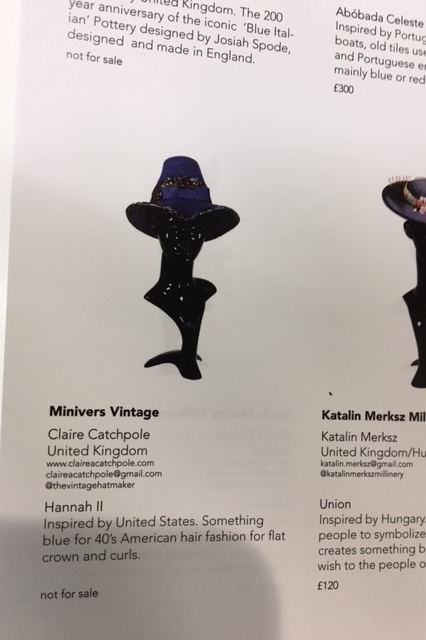 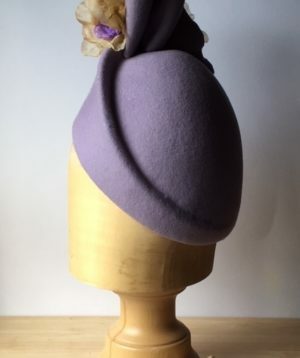 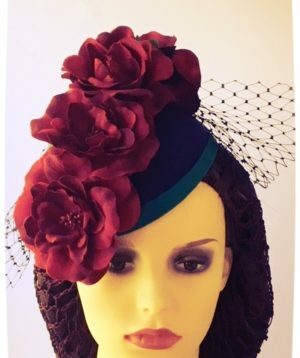 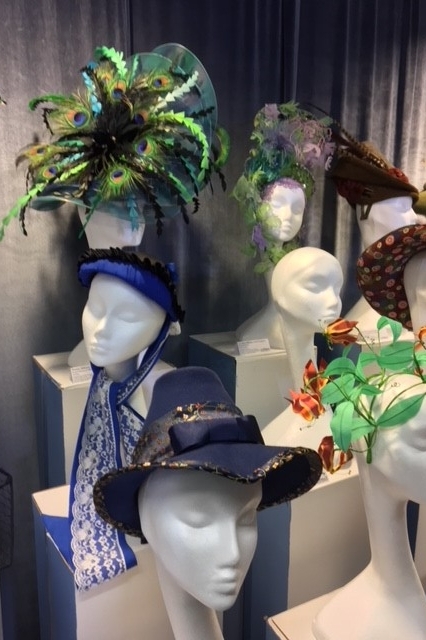 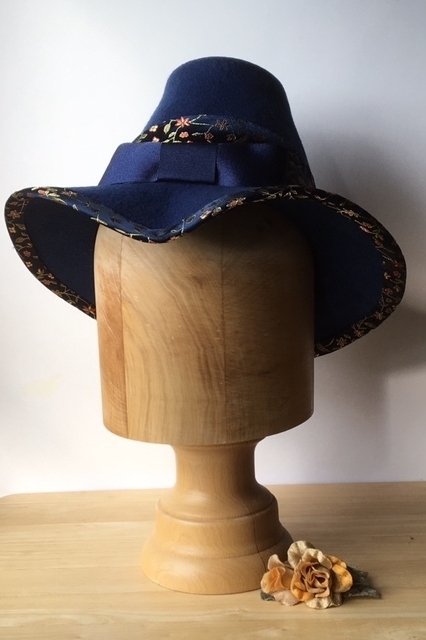 This hat was selected to be shown at the Great Hat Exhibition 2018 of London Hat Week and can be viewed between 22-28 March but will not be for sale at the exhibition.